This was the theme for our exhibition which premiered at The Festival of Quilts, NEC Birmingham, UK, 2013. 51 quilts were submitted covering many interpretations of the word. Members took both personal and pictorial inspiration. Their methods of construction were many and varied. The theme was interpreted literally, figuratively and spiritually. This exhibition has received rave reviews. 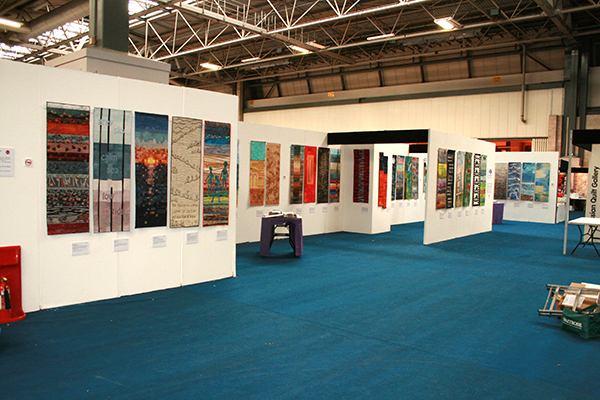 Festival of Quilts at the NEC, Birmingham in August 2013. There is a catalogue of the full exhibition available here. Click on the thumbnail images to see an enlarged version.